Nintendo's new 3DS XL comes upgraded with a lot of new features but the most notable feature would have to be the integrated C-Stick. The C-Stick operates the same way as the Circle Pad Pro attachment by allowing games with third-person camera capabilities, like Monster Hunter 4, to look around in all directions. For other games there are other uses. 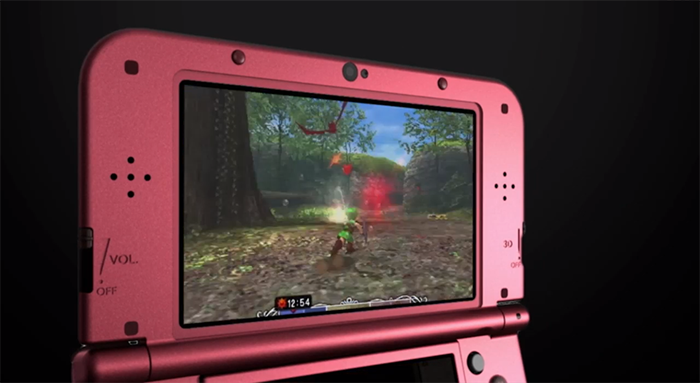 For instance it can be used to perform Smash attacks in Smash 3DS or used with other games that have Circle Pad Pro accessibility built into their design, like Resident Evil Revelations or Steel Diver Sub Wars. Some of the other new features in the new 3DS XL includes a faster processor enabling the device to load games much faster, improved WiFi capabilities, extended battery life, as well as a pre-installed 4GB Micro SD card. Another noticeable addition is the head-tracking feature has been added to enhance the viewing angle of its "glasses-free" 3D experience. A built in sensor at the bottom of the screen has been added which will enable the use of Amibos by utilizing Near-Field Communication.